Our latest review comes from We Choose Virtues. When I first heard that we would be reviewing their products, my thoughts went back to when we were young parents. Our commitment was that all of our parenting both in encouragement and discipline would be based on virtues. Well, we have not always been consistent, but have made a valiant effort in the midst of the demands of life. There are times that resources like the Youth Virtue Journal and the accompanying mentor materials really help to bring the focus back intentionally to where it belongs. We received a physical copy of the softbound Youth Virtue Journal and downloadable copies of the Mentor Handbook, Mentor Meeting Report Form, Youth Character Assessments, and Youth List of Memory Verses and Bible Heroes. This set of materials is intended for students ages 12-18 and their adult mentors or parents. When ordering, the softbound book will be mailed in a padded envelope with an email also being sent with the downloadable parts of the kit. This kit currently retails for $17.00 on the publisher’s website. For the remainder of the month of June, the publisher is offering 50% off their amazing set of 12 11×17 Kids of VirtueVille Posters! To take advantage of this offer, please use Promo Code BIG50. An additional promotional will be happening from June through August where you can receive 20% off anything in the WCV Store using Promo Code BTS20. The inside of the Youth Virtue Journal is consistent in style to the front cover with eye appeal to many teens. 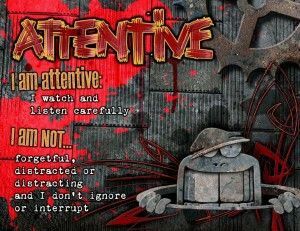 The theme of gears and mechanisms certainly focus on the “building” of one’s character. There are nine virtues that are studied throughout the Volume 1 book that we received: attentiveness, contentment, forgiveness, gentleness, helpfulness, honesty, obedience, perseverance, and respectfulness. The Volume 2 journal covers diligence, kindness, patience, self-control, flexibility, gratefulness, joyfulness, punctuality, and resourcefulness. The materials are designed to be used with one student or in a group with an adult mentor or parent. The suggested pace of the course is to spend one hour per week on the study and discussion with it taking a period of two weeks to cover each virtue. As a parent, I was reluctant to use the Youth Virtue Journal with just one of my children, because I really didn’t want to convey that any one of my children needed additional training and encouragement in demonstrating these virtues in their life than another. For this reason, we went through the study together spending time in discussion rather than doing a lot of writing. There were times that writing down observations or key ideas was important. For these times, one of our children would record our observations in the Youth Virtue Journal. Ideally, we would have purchased a copy for each of the children. The first step was for me as the mentor to become familiar with the materials and know how the program worked. This was all clearly laid out as well as helpful information on preparing me in the mentor role. I was really uncertain at first if it was necessary for me to read the mentor handbook since I am the MOM, but it was very valuable. I tried to envision myself using these materials with a local group of teens rather than my own children, because honestly we all can sometimes be different when it is not our own children. My head was now in the game and I was ready to go. Next, the mentor is supposed to complete the Youth Character Assessment. 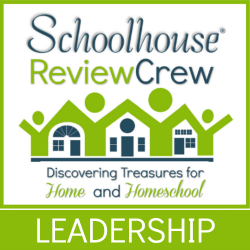 Because we were doing this as a family and I did not want it construed as “school”, I actually had the kids complete their own Character Assessment in the privacy of their rooms. I encouraged total honesty and self reflection. This is a powerful tool if an environment and relationship exist such that the student can be completely honest in their responses. The completion of this assessment aids the student in creating personal goals and maybe really seeing themselves in a different light for the first time. This eye opener can be the wake up call for change. I share this understanding that depending on the students you are working with it may be better for an outside, objective adult to complete the assessment. 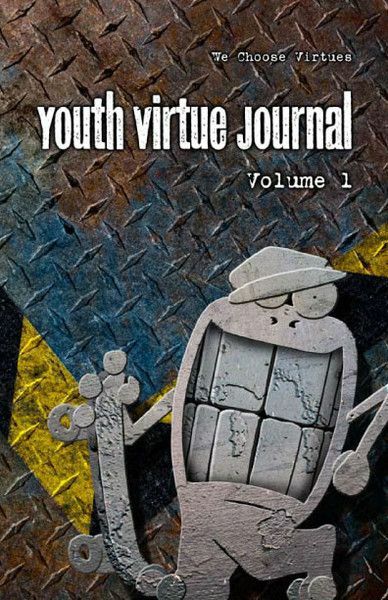 The Youth Virtue Journal and the corresponding materials were originally designed for use with juveniles at risk in the Idaho correctional system. Under these conditions, I would agree with the authors that it would be advisable for the mentor to complete the Character Assessment. In the weeks that followed, we explored one virtue per week. We followed along exactly as the book was laid out. The students began by actually spending some time identifying a goal or dream that they have and a major obstacle in achieving it. Next, a series of questions is presented that encourages the student to do some self examination related to the Virtue. They then scored themselves accordingly on a scale related to how well the virtue is incorporated into their lives. Following are some questions that help them look beyond themselves to others in their world that demonstrate positive attributes of the virtue being discussed. Because these materials were originally designed for a secular environment, each virtue study ends with inspirational quotes from great figures in history related to the virtue. We did not find any in contrast to Biblical principle and rejoiced that in the mentor materials there is now also included a biblical hero and scripture passages that highlight each virtue. These can be used in place of the quotes or in addition to them. There is also a short section after the quotations where the student can record any advice that the mentor provided directly to him/her. An additional resource in the downloadable mentor materials is a mentor meeting form. This is a document used by the mentor in recording significant points of discussion from the meeting with the student. In completing this study with just my own children, I did not feel the need for formally completing this document. I could see the benefits if it were being used in a church youth group, homeschool cooperative, or community based youth support group. My first honest thought when I received the Youth Virtue Journal was a sense of joy over the creativeness of the authors. These materials were originally developed as I shared earlier for a completely secular environment. However, when I compare the virtues that are highlighted and the way they are presented, this study is a wonderful journey of working out one’s salvation in manifesting the Fruit of the Spirit. We also loved the fact that the questions presented were delving enough to really encourage self examination, but the book work in the youth journal was not so exhausting that the kids felt loaded down with more schoolwork. A point for the publisher to consider is the glossy page formats. I do feel that the glossy finish adds to the durability of the book. At the same time, it makes it hard for the students to record their answers if they are using pencil. The glossy finish is great if the students are using ball point pen or fine tip markers. Previous post: Summer Break – Should We or Shouldn’t We??? Next post: Diana and Friends Experience History Through Music Giveaway — $700+ Value!